State Health Society Bihar Recruitment 2019 - Below are various recruitment notifications published by State Health Society, Bihar / www.statehealthsocietybihar.org. As of now, we don't have any active recruitment notification by State Health Society Bihar featured here. We may update as soon as the organization announces a new job notification. If you are looking for any information related to previously organized recruitment drives by State Health Society Bihar, you can browse through previous job notifications mentioned below and get the new updates or information you are looking for. State Health Society Bihar Recruitment 2019 - Apply Online for 10 Manager Level Posts in State Health Society Bihar, Patna on Contract Basis. 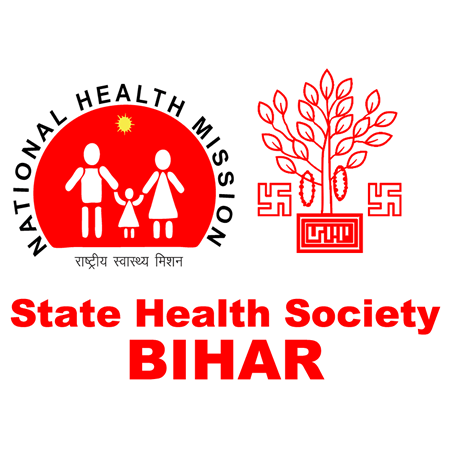 Online Applications are invited by State Health Society, Bihar from 25 Mar 2019 to 15 Apr 2019 till 05:00 PM for 10 vacancies. State Health Society Bihar Recruitment 2019 - Apply Online for DPM, DAM & Other Posts in State Health Society Bihar, Bihar. Online Applications are invited by State Health Society, Bihar from 05 Mar 2019 to 05 Apr 2019. State Health Society Bihar Recruitment 2019 - Apply Online for 15 RPM, RAM & Other Posts in State Health Society Bihar on Contract Basis. Online Applications are invited by State Health Society, Bihar from 11 Jan 2019 to 31 Jan 2019 11:59 AM for 15 vacancies. State Health Society Bihar Recruitment 2019 - Apply Online for Director Posts in State Health Society Bihar, Bihar on Contract Basis. Online Applications are invited by State Health Society, Bihar from 01 Feb 2019 to 22 Feb 2019 for 4 vacancies. State Health Society Bihar Recruitment 2018 - Walk in for HR Consultant Posts in State Health Society Bihar, Bihar on Contract Basis. Candidates are invited by State Health Society, Bihar to attend walk-in-interview to be held on 20 Dec 2018 for 3 vacancies. State Health Society Bihar Recruitment 2018 - Apply Online for 169 Specialist Doctors Posts in State Health Society Bihar. Online Applications are invited by State Health Society, Bihar from 05 Sep 2018 to 30 Sep 2018 11:59 PM for 169 vacancies. State Health Society Bihar Recruitment 2018 - Apply Online for Senior Audit Officer, Media Consultant & Other Posts in State Health Society Bihar on Contract Basis. Online Applications are invited by State Health Society, Bihar from 28 Aug 2018 to 19 Sep 2018 11:59 PM for 7 vacancies. State Health Society Bihar Recruitment 2018 - Apply Online for 133 Medical Officer Posts in State Health Society Bihar, Bihar on Contract Basis. Online Applications are invited by State Health Society, Bihar from 28 Aug 2018 to 17 Sep 2018 till 11:59 PM for 133 vacancies. State Health Society Bihar Recruitment 2018 - Apply Online for 408 Specialist Doctors Posts in State Health Society Bihar, Bihar. Online Applications are invited by State Health Society, Bihar from 09 Jul 2018 to 31 Jul 2018 till 11:59 PM for 408 vacancies. State Health Society Bihar Recruitment 2018 - Apply Online for Additional Director & Assistant Director Posts in State Health Society Bihar, Bihar. Online Applications are invited by State Health Society, Bihar from 06 Jul 2018 to 27 Jul 2018 till 11:59 PM for 3 vacancies.